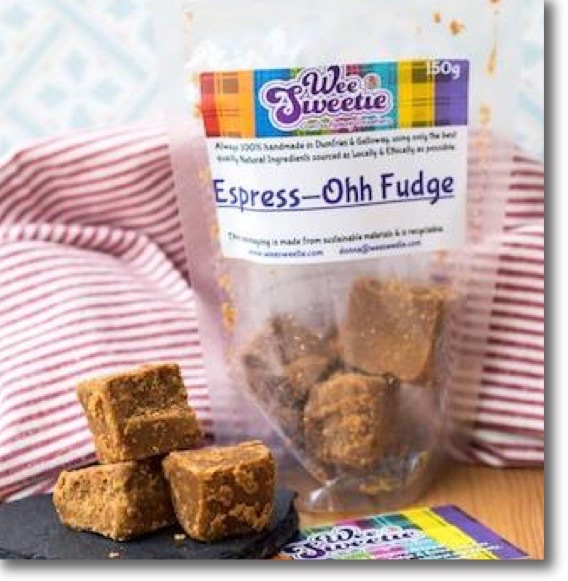 Email Wee Sweetie with details of what you’d like and we’ll get back to you very soon! Contact us via this website with your requirements and we’ll be in touch. Visit our Facebook shop – you’ll see all our latest news and you’ll be able to order some of our most popular products. Tweet us your sweetie orders on Twitter; you’ll have to pop over to Paypal to pay, but we’ll message you full details! If you wish to order a sweetie that is not on the Sweetie Menu, please refer to the Bespoke Orders page. Collection or delivery is FREE in Dumfries. Sweeties can be posted via 1st class mail costing +£3.95 for 2-5 bags, +£6 for 5-10 bags. Please contact us for larger quantities and international shipping prices. As all items are freshly handmade to order, a minimum of 7 days' notice is required for bespoke orders. Standard bags are 150g. Once confirmed, orders cannot be changed or cancelled. Full payment is required on confirmation of order, either by cash, PayPal or via debit/credit card through PayPal - no account required. 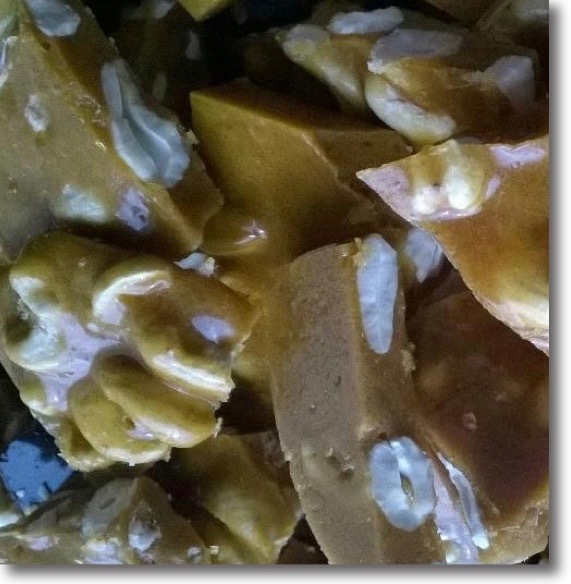 Minimum order for custom or bespoke sweets is 3 bags/500g of the same variety. Please note: None of our products can be guaranteed to be nut free. Allergens are underlined. “Amazing company. Completed a rush order for me...looks beautiful, just like stained glass".